I look forward to joining an organization with a long history of providing quality care to seniors, one whose culture is based on its core values of compassion. The Board of Directors for Immanuel Lutheran Communities (ILC) is pleased to announce Jason Cronk as the new Chief Executive Officer (CEO). 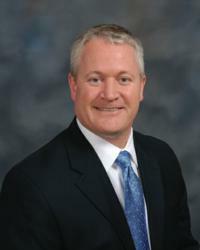 Cronk will begin as the CEO on May 13, 2013. A fourth-generation Montanan from Harlem, Mont., Jason has served as a senior executive of retirement communities for over 20 years, most recently as the executive director for Life Care Services (LCS) and its subsidiary company CRSA for the past 13 years. While at LCS-CRSA, Jason led various retirement communities, which included an assignment in mainland China where Jason served as CRSA’s on-site representative to the Guangdong Oursjia Retirement Services Company in Guangzhou, China. He served as the chief operating officer for the Chinese company guiding them in the planning phases of opening three retirement communities in mainland China. "Throughout my career, I have always approached my position as part of a ministry to care for and serve others,” said Cronk. “I believe there is nothing better a person can do than to care for another person, and with Immanuel Lutheran Communities, I am joining an organization that shares similar values and commitment to service." Prior to working with LCS-CRSA, Jason served as the executive director for Our Lady of Peace in Charlottesville, VA, and as the administrator for Samaritan Bethany, Inc., in Rochester, Minn. He has bachelor of arts degrees in business administration and organizational communications, as well as a Hospital Administration Certificate from Concordia College in Moorhead, Minn., and an MBA and a master's certification in health care administration from the University of St. Thomas in St. Paul, Minn. He is a licensed nursing home administrator in North Carolina, Massachusetts and Georgia, and has been a licensed nursing home administrator in Minnesota, Virginia and Maryland. Immanuel Lutheran Communities is a not-for-profit organization offering residential living, assisted living, memory care, rehabilitation services and skilled nursing care in Kalispell. Operating since 1957, Immanuel Lutheran remains committed to its philosophy of providing a faith-based environment to enrich the lives of older adults. For more information, please contact 406-752-9622 or visit our website at http://www.ilcorp.org.